No one in this world knows what happens when we die. Maybe there’s a heaven, maybe we get reincarnated, maybe we wander the world for all eternity or maybe being dead is just the end. Caitlynn could communicate with ghosts and help them crossover. Yet when she moved she never expected to find someone both alive and dead. 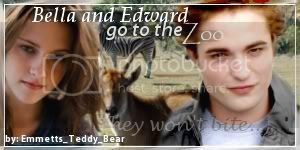 Edward/OC No Bella Rating may change. What happens when Mike becomes a little too obsessive? What if he overhears a conversation he, or anyone else for that matter wasn't supposed to hear? Will Mike find out the truth about the always mysterious Cullens? And what will be the fate of the Cullens, or Bella, if he does? I just randomly did these. It contains a haiku, a cinquain, and a diamante. Dedicated to Edward and Bella! This is like a mix between the Twilight cover and the Eclipse cover. Continues on from Twilight, ignoring New Moon. Edward leaves Bella for her own good. Will they ever see each other again? It was bouncing around my head for about two weeks, and I couldn't take it anymore, sketching out random crap in school (math, to be precise) until I decide to let it all out. Behold, the Eclipse cover, by Everchanging. A little funny poem that starts seriously and ends with humour :) Hope you like it. A friendly parody of our favorite saga. How the story might've gone in a screwed-up, parallel universe, if your Dad is gay and your next-door neighbor's got the hots for you. Betty's a bad girl, and Edgar likes human food. Just because you've graduated doesn't mean you can't learn something new every day. A confusing little poem about Edward lol. Discribes the one we all know and love, Edward. A pencil sketch of Robert Pattinson. Edward + Bella = ? So what happens? Everyone has a different opinion. This is mine. goody! edward and bella dancing sort of! fun, quick sketch for me, just to get rid of some excess fluff that was building up. A simple pencil drawing of Edward Cullen with Bella Swan. I used a Twilight movie poster as a reference for this. My first Twilight drawing of Edward and Bella. I'm writing this again because I had to delete it because someone said there were co-writing it. So here I am writing it again. Edward decides to take Bella camping. Silliness and clumsiness occur. Disclaimer: I own an iPod. Stephenie Meyer is the lucky lady who owns Twilight. Not me. Edward and Bella go dancing. Edward and Bella go ice skating! Bella takes the Cullen family minus Carlisle ice skating and hilarity ensues. Plus some unexpected surprises! Sequel to Edward and Bella go sledding! but you don't have to read that one first. BTW: Two-shot! Just a funny cute little oneshot about Bella's balance problems in combination with a sled. Oh, and lots of dialouge. A second image of Edward Cullen with Bella Swan. I worked on the shading here longer than the last one, so it should look a little smoother. Edward and Bella are hiking in the woods, but there they encounter something else that wants Bella's blood. One-shot. Henry Cavill as Edward. Reference from a photograph. This my very first time doing a drawing that I actually put effort into and I would really appreciate some reviews. Should I continue with drawing or try something else? Be honest please. i cannot summarize this, sorry. This is a pencil drawing of Robert Pattinson as Edward Cullen from the movie. I started this way back in January and had to stop and let it sit for a while but I just finished it up this last week. For this drawing I used 2H, B, and 2B pencils on 70 lb. drawing paper. PLEASE REVIEW!!! i'm getting stuck at 15 reviews!!!! COME ON PLEASE??? yea i know i sound despirate...i'm only kinda...despirate. PLEASE? i'll throw in a complementary hug! Here was my version of Edward Cullen. he is hot. i am master of the obvious!! lol. please review! What would happen if the Mariah Of Georgeous, (Edward) and the Jesus of cooking (Wolfgang Puck)had to go head-to-head in a cook-off? And what if that cook-off forms into something more...... a DANCE OFF!! Edward is very lonely ever since his last human girlfriend died of a vicious vampire attack. "They are coming back..."
a pic i drew of Edward in his muffin suit. inspired by Lolabri's Dress Up with the Cullens. NEW COLORED VERSION IS UP!!! When the Cullens comes back at the end of New Moon, Edward and Alice get Mrs. Cope to change their schedules so that they end up in the same gym class as Bella. Edward never came back so Jacob and Bella have fell in love and moved in Bella's child hood home n forks after charlie has died, they have been married for a long time and living together even longer. Bella decides to install a new floor in her old bedroom and finds Edwards things he never intented for her to find. This is what happens on the plane on the way to Bella's Mother's. I am absolutely willing to guarantee that it is not what you are expecting. A short one shot based on the line in the trailer, "Edward this is wrong. She's not one of us." Funny, funny, funny line! This is a twilight story based on Alice's point of view. I love Alice and think she would have so much to offer as far as humor and insight goes. Hope you enjoy. It's Edward's 107th Birthday and Bella has a very special suprise planned for him. How will he handle it. The title of this came from my son, also a twilight fan. This one shot takes place immediately after Edward hangs up from Jacob. 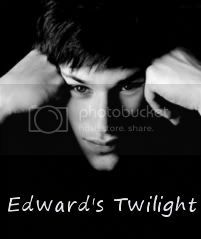 Edward is a vampire who has been without a mate for centuries, his adoptive family all has mates. How ever, when a new girl Isabella Swan moves to Forks and she joins the Cullens at Forks High school, things change from there. She soon learns their secret and she and Edward soon start dating. How ever, Edward soon learns not only do the guys at school want to date bella, so does her family friend Jacob Black who is a wolf. Soon Edward becomes very controlling and possessive of Bella. Will he be able to keep certain suitors away? Edward, Bella, and Rosalie's missing scene while Jacob was on his joy ride in the Vanquish. Edward and Bella reconnect while Edward listens to Renesmee's thoughts in the womb. Edward was 17 when he was turned into a vampire. His sister was 14, Carlisle never told Edward that he changed her. But she ended up running away, after years of searching and keeping it a secret. Carlisle finally found Nicole. Nicole ends up with her new coven at Forks, see what happens. A Shakespearean-inspired poem about Edward's tedious wait for his wedding night. PG-13 for innuendos. Edward grew up with a girl that he came to love with all his heart. They had true love and were best friends. Then in 1918 they thought it was all over. She cried by his bed until the doctor came in and said it was time for her to go. That was the last time that they thought they would ever see each other. Edward is hunting in the forest when he sees her and bumps into her. His love, his life, his Allie. A shortish poem from the time when Edward left Bella. so shockingly, it's just as the title might suggest. it's short. it's set soon before Rosalie screws Edward up. The title is a bit self-explanatory. It's basically a drawing I made to put in my binder. But it's pretty cool, so I thought you'd wanna see it. Lilly was taken by the Volturi 135 years ago. The cullens want her back. They will get her back. The world is on it's axis...and reversed? What if: Edward was the vulnerable human? Bella was the powerful vampire? La Tua Cantante was not a problem with strong Bella? What if...there were other problems? Hey, you, yeah, you with the eyes. Come click on this story. It's worth it. Lol. Chapter 10 is up fool! When Edward left, life for Bella fell into confusion and reality was sucked away. Edward has thought countless times, “What is Bella thinking?” What will happen when he is finally granted his wish. And how can the impossible happen? What’s wrong with Bella? Cute little scene I did. Photoshop 4-5 hours. Its eight days before the wedding, and not only is Bella coninually loosing her balance, but she has found out about Edward giving Jacob the invitation... continueing on, when a strange apperance from more than one character arrives in Forks. For the right or wrong reasons? Four times when Rosalie saved Emmett (and one time she let him be the hero). El tatuaje means The tattoo in Spanish, I chose Spanish bcause I think it sounded pretty. Yes it is about tattoos. It is VERY OOC!!! :) I seem to really like writing OOC stories :) I KNOW vamps can't REALLY get tattoos! When Bella experienced a grief to big to handle, she changed. Bit her mother doesn't like her drinking and other escapades and sends her to her Father in Forks. Can Alice Cullen get her to open her shields and let her in? And why is Alice's twin brother such a prick to Bella all the time? AU-All Human. Canon pairings (in the end), OOC. Review!